It's Not Work, It's Gardening! 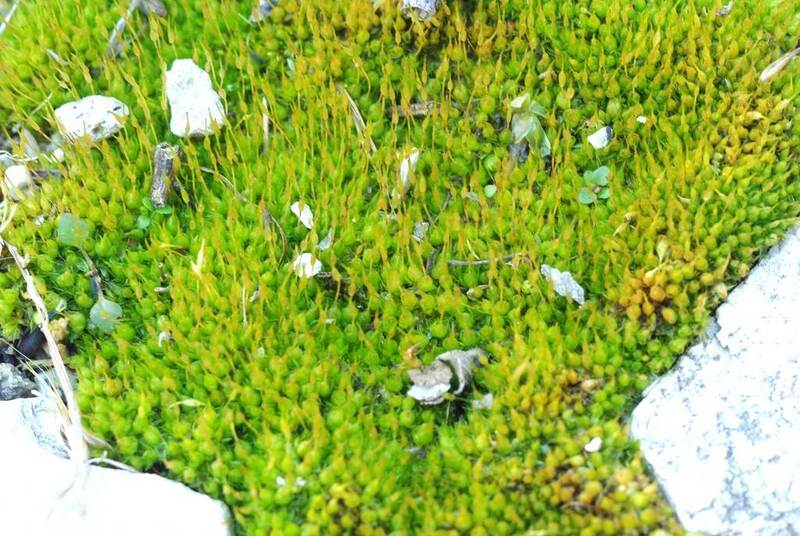 : It's moss time! 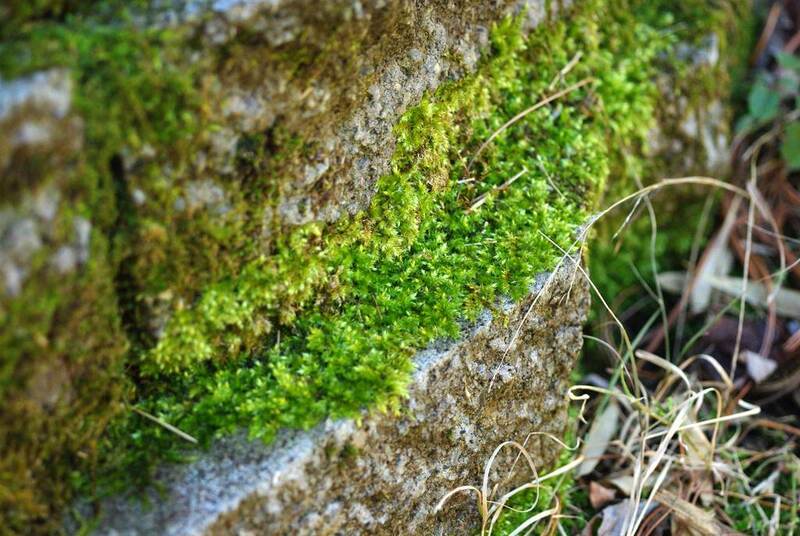 I told you, when I see moss I just have to stop and look. If my camera is nearby I need to photograph too. I looked around the yard for examples, and I found plenty. 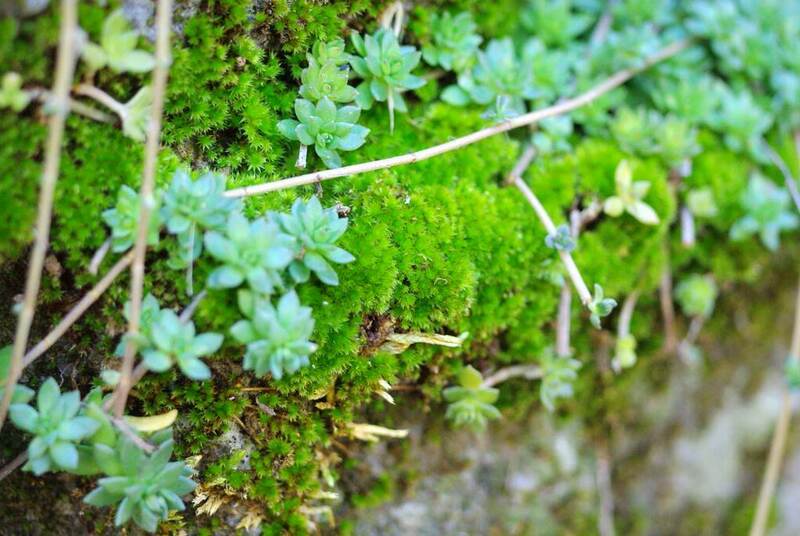 I'm not sure what it is about moss, but I just love it! 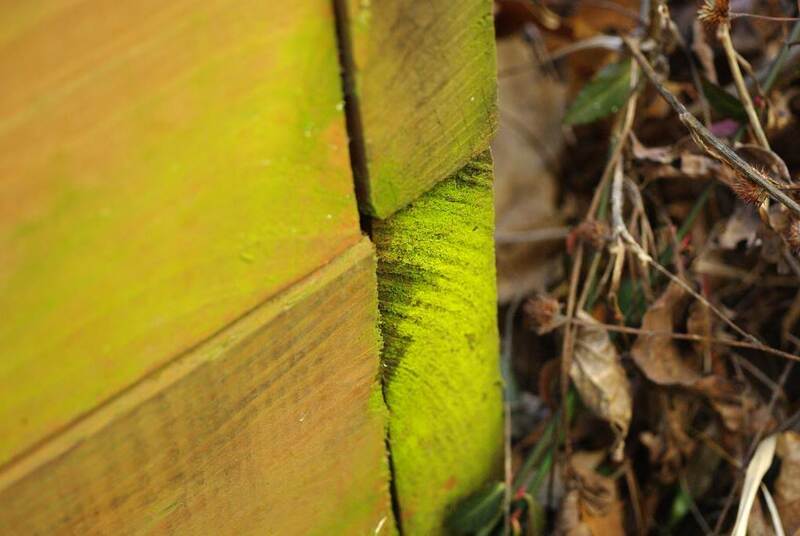 Maybe it's the fact that it shows up in winter when not much else is green (unless you grow bamboo of course), or that it's associated with shady, cool places. 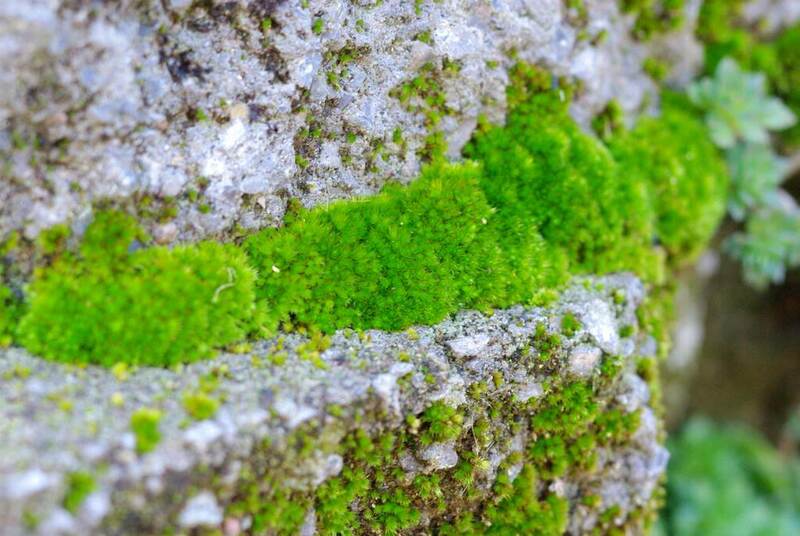 It's just so wonderful and, well, mossy! It's a species that apparently hasn't broken dormancy yet, as it still looks somewhat dry. Soon though I suspect. Maybe it's just algae... I'll keep an eye on it. 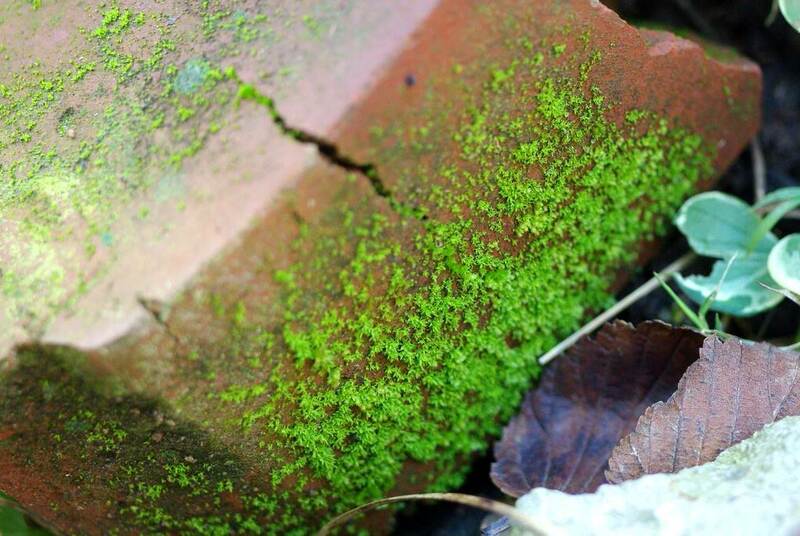 Moss and lichen together. I love this rock! 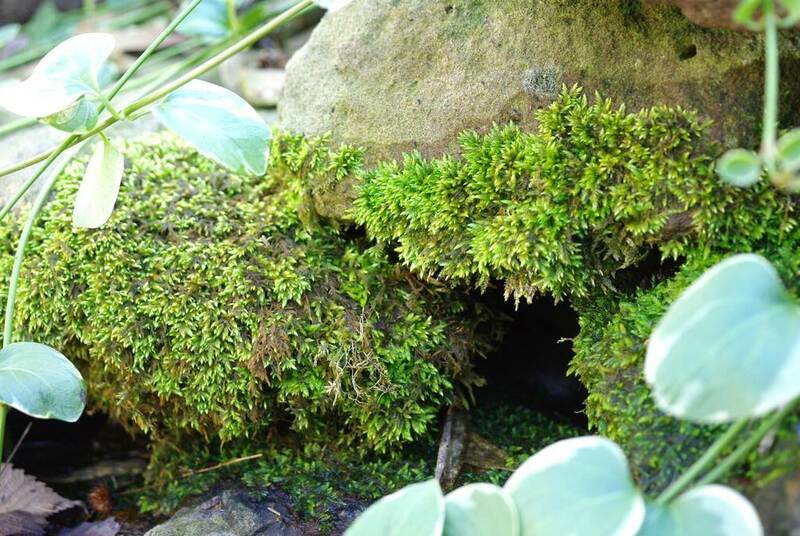 How many different species of moss do I have in my garden? I couldn't tell you. 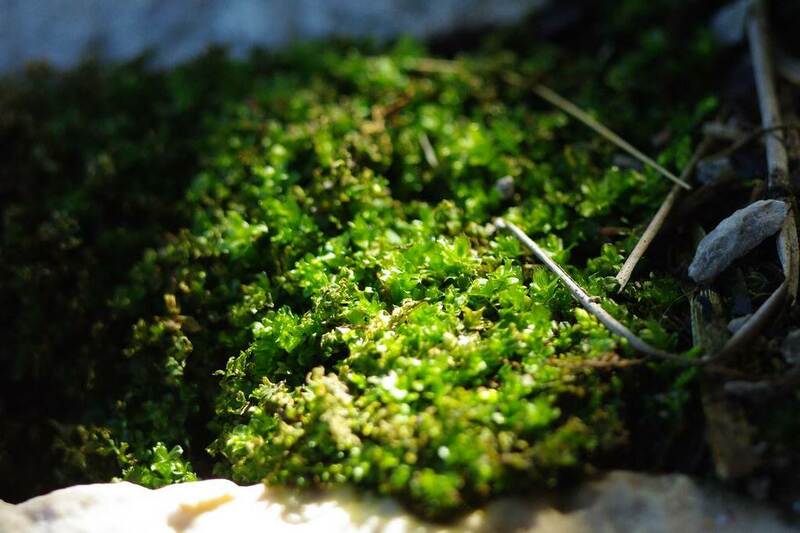 There must be at least 4 different species shown in these photos, but is that all of them? 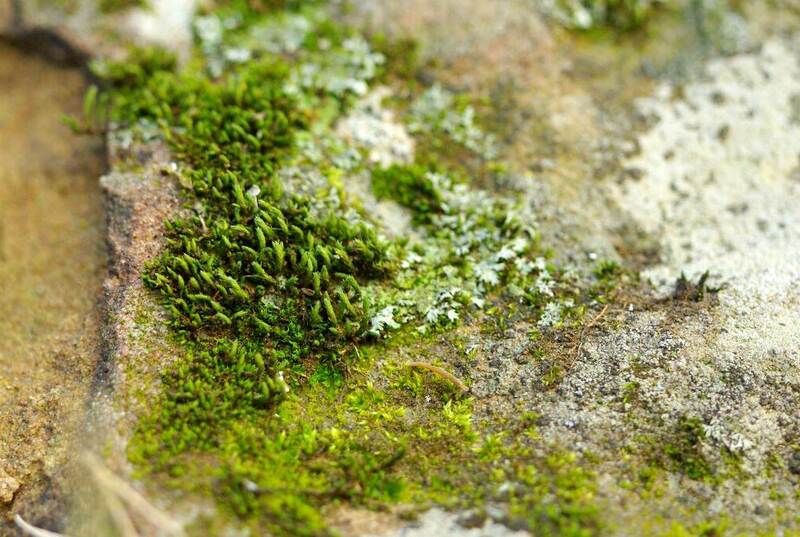 I don't know, as I always get too caught up in the artistry of the moss to think about the botany. 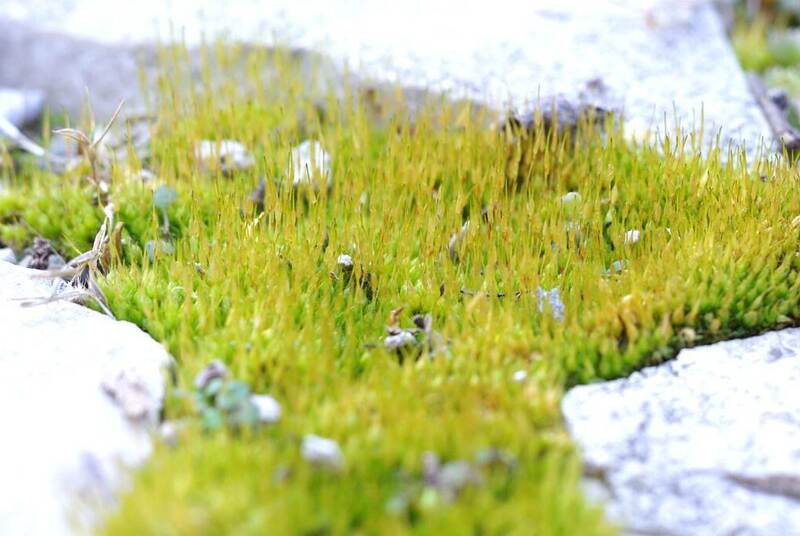 So that's a look at the moss in my yard right now, at least from an artistic point of view. I'll probably take another look at it here in a month or two. I won't be able to resist! 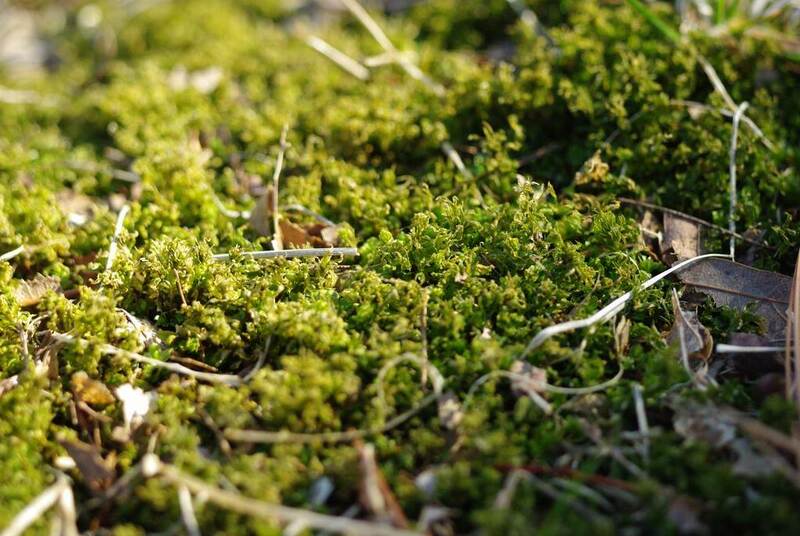 Aside from sedums and garlic, it seems to be one of the few things that keep growing through the winter noticeably. Really enjoyed reading this, (and seeing the photos). 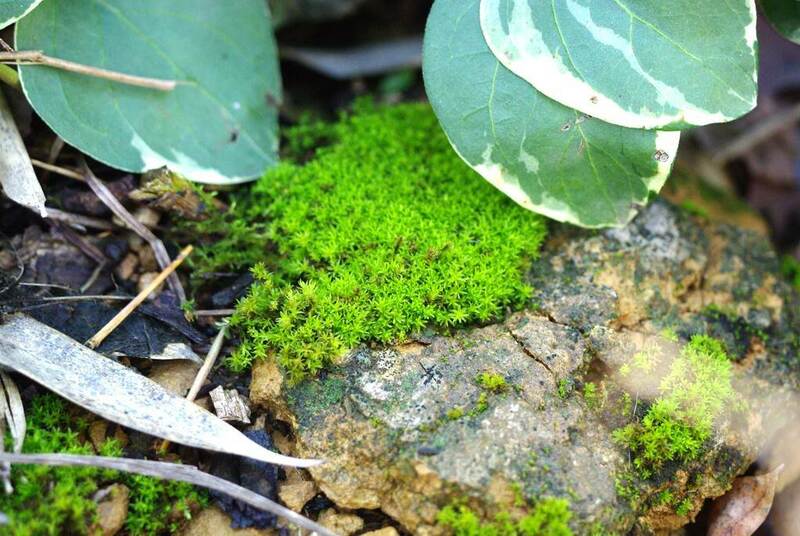 Like you I enjoy seeing moss, and always hope it will develop more. 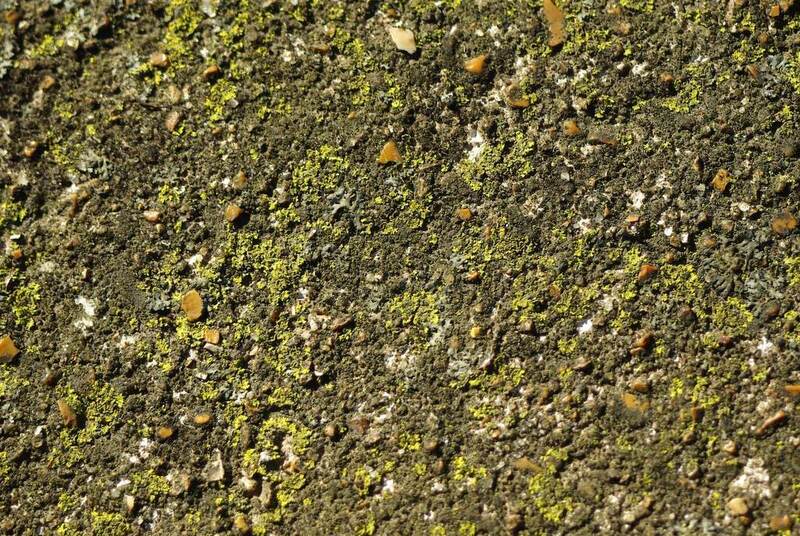 It does have such an artistic quality, especially between rocks or paving stones. 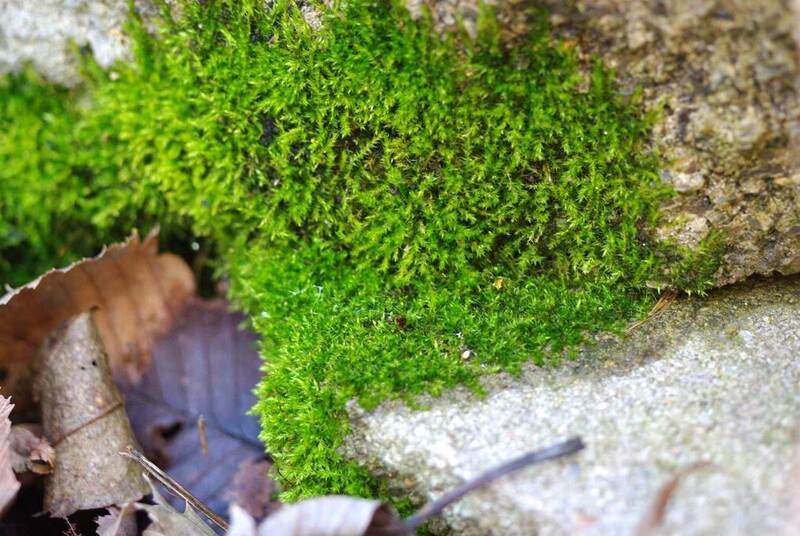 I love moss because in our climate it's so fleeting. Beautiful! Great photos! 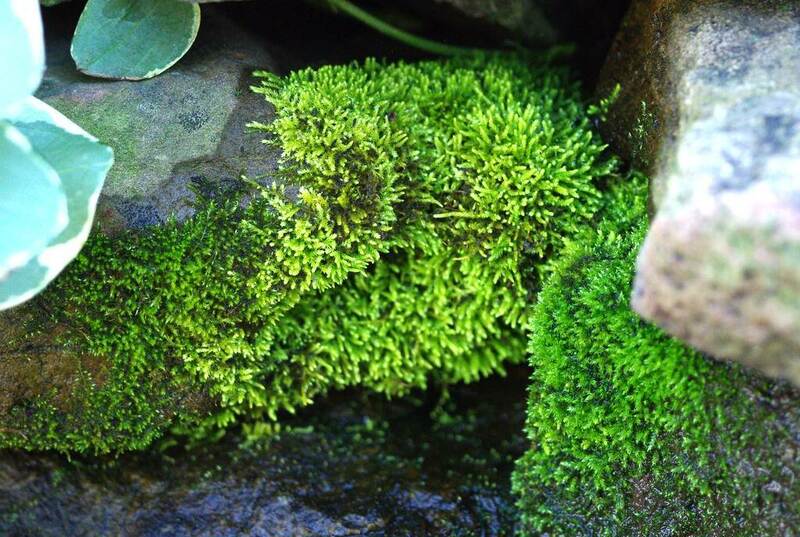 I love how moss is so fuzzy! 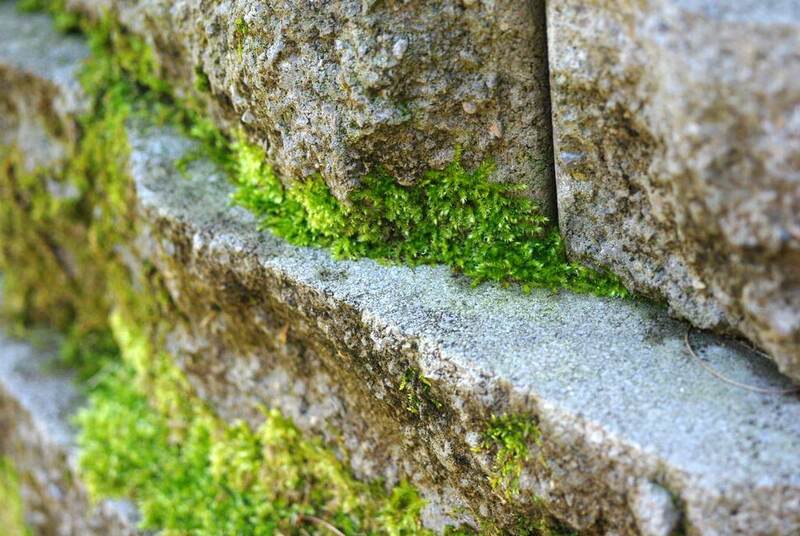 Great photos, I love moss too. Wonderful series of images. 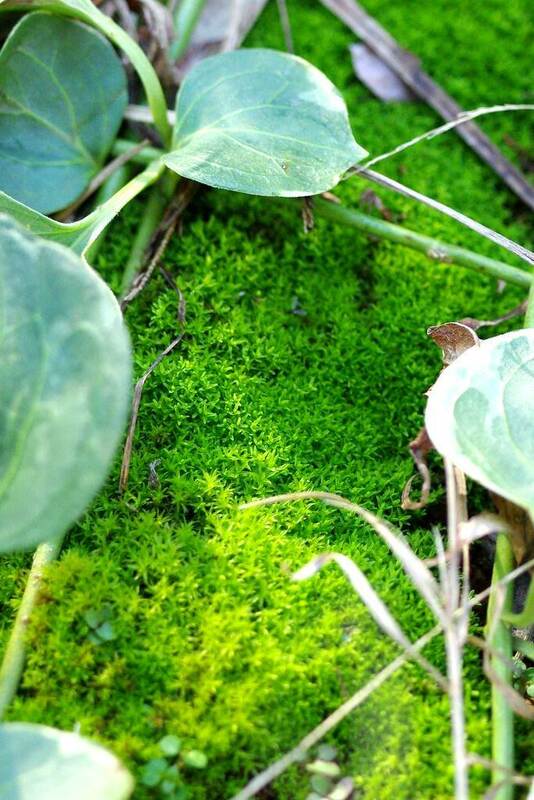 I like how the emerald green of the moss contrasts with the background.